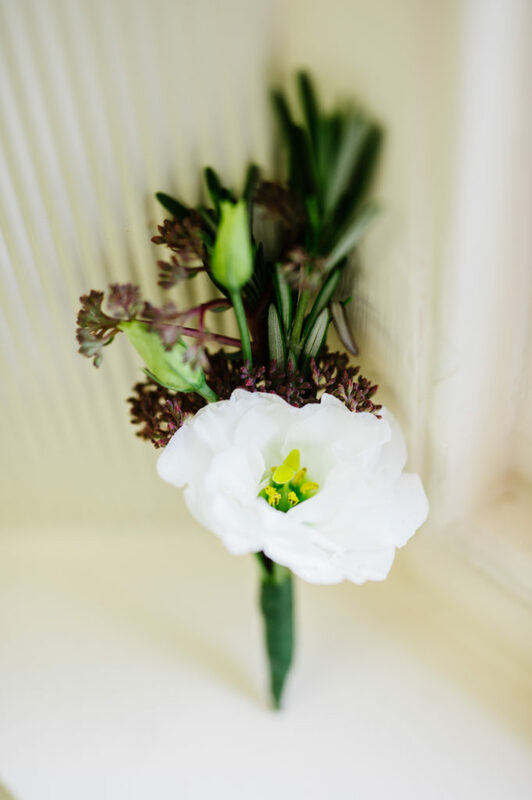 Home » Amazing flower pairings » Loving Touches ~ Create an elegant wedding for less! 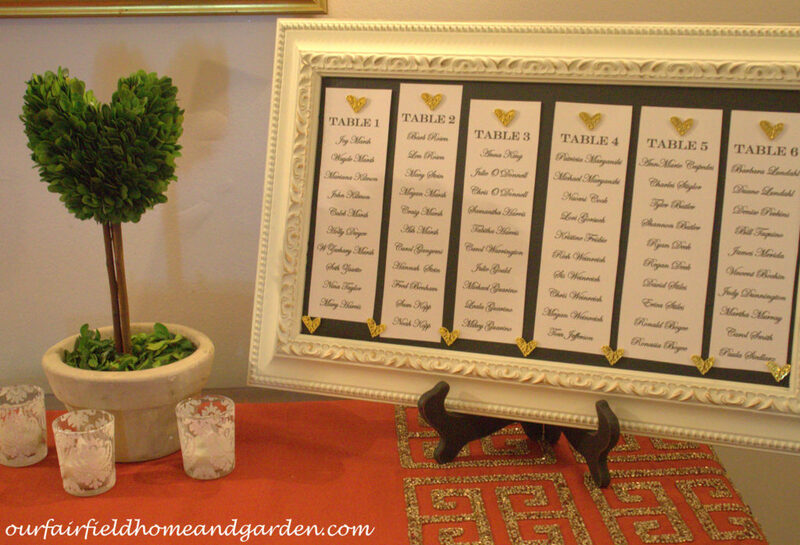 Loving Touches ~ Create an elegant wedding for less! Want an elegant wedding but you are trying to keep the costs down and work within a budget? Well, I’ve been there! 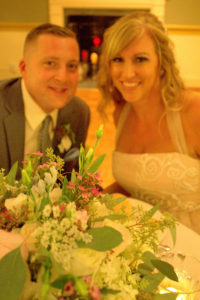 My son and his sweetheart really wanted something more than backyard nuptials and a barbeque for their summer wedding. Our sweet daughter-in-law-to-be also happens to be an interior designer and her whole firm would be guests! No pressure there! Here are some tips that I learned by experience. #1 Finding the right spot takes time – get to it! Time was of the essence in booking a venue. The engaged couple looked at quite a few locations, finding that what they had in mind was out of reach. Many venues had quite a few restrictions and requirements such as having to hire their own approved caterers and wedding planner. Some were booked a year or more in advance! 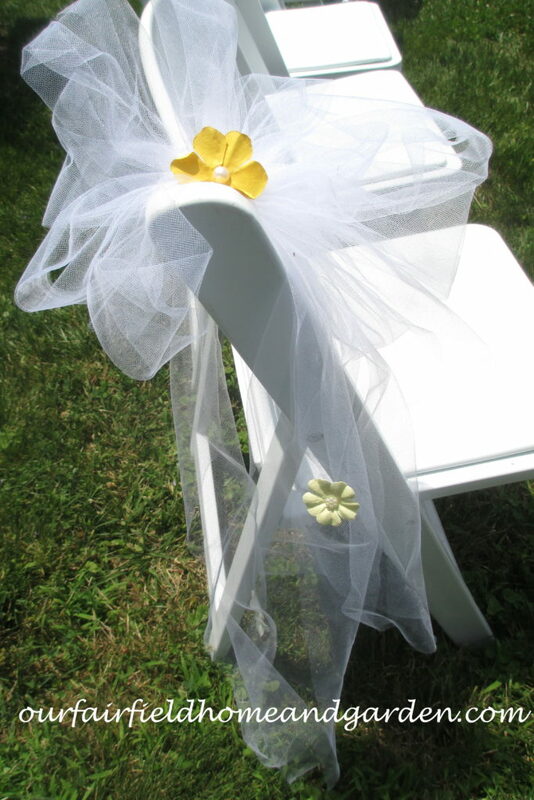 It was quite an education to find that a majority of the venues in our area had a la carte services and costs such as renting chairs, glassware, table linens, etc. 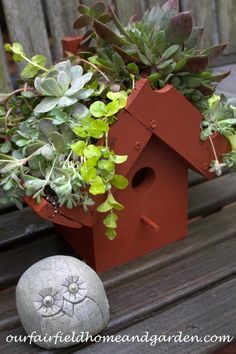 I got creative and started calling public gardens and colleges. Lo and behold, I found the perfect spot: Goodstay Gardens, an elegant country estate owned by the University of Delaware that had both the indoor elegance and lovely gardens our couple desired. Because August was not a popular wedding month for them, they gave us a great deal on renting the house and gardens all day and evening that also came with an events coordinator for no extra charge! #2 Go with the buffet! After finding your wedding venue, you also have to get the food and beverage choices in place. Choosing to have their dinner buffet-style and skipping the alcohol saved our happy couple lots of money! Plus, food wasn’t plated so it stayed warm and there was less waste. Grandma, who eats like a bird, and the hollow-legged nephews could all get exactly the amount to eat they wanted. Look for a location where the food is cooked on site for freshness or a location that lets you choose your own catering company to save more dollars. #3 Do It Yourself and enlist your friends! So, about five months before the wedding, my best friend and I sat down with the bride-to-be to get a good idea of what her special day vision was. 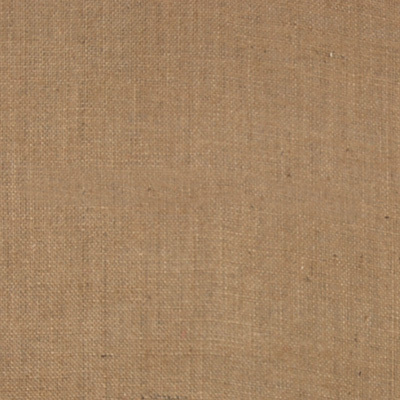 Ideas from Pinterest were a big help in narrowing down the “look” we were going for. It’s really helpful to have visuals so everyone planning and working on the wedding shares in the “Big Picture”. This is where we did the most work and had fun doing it! 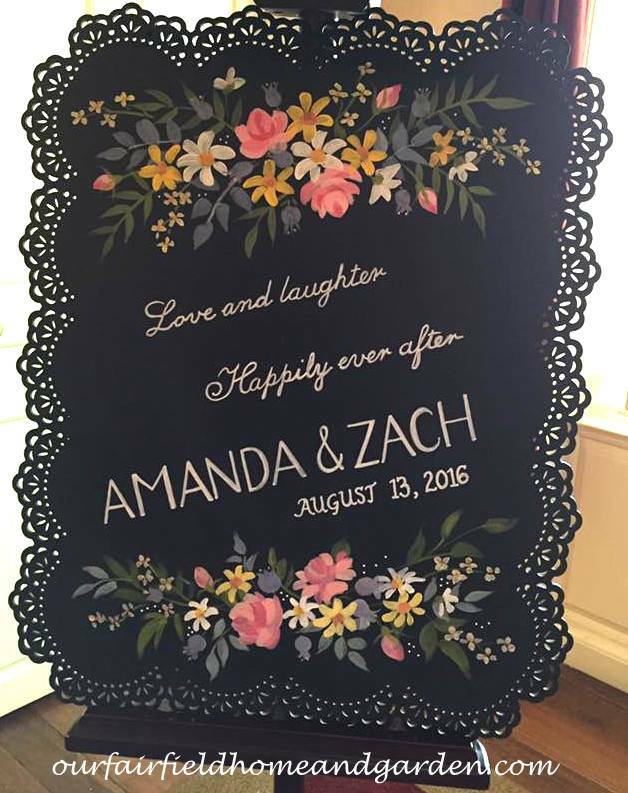 Here are the wedding projects we did! 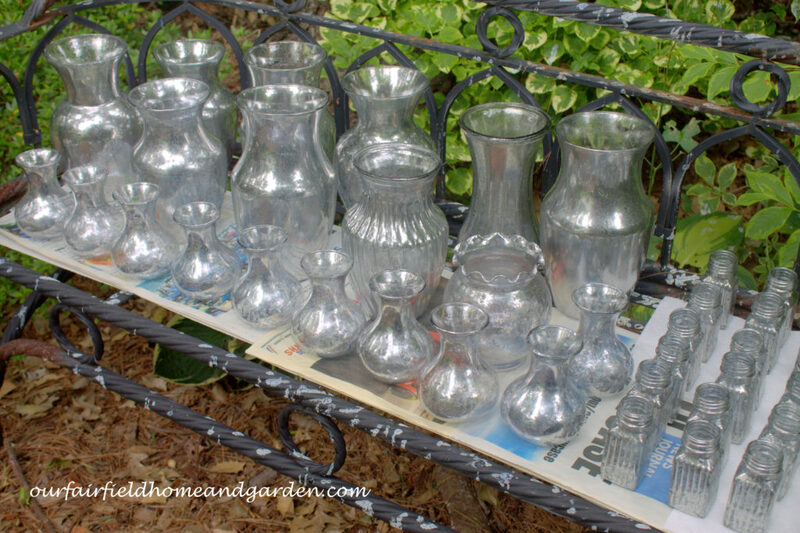 Faux Mercury Glass Vases and Votives ~ click through to see how to glam up cheap glassware! 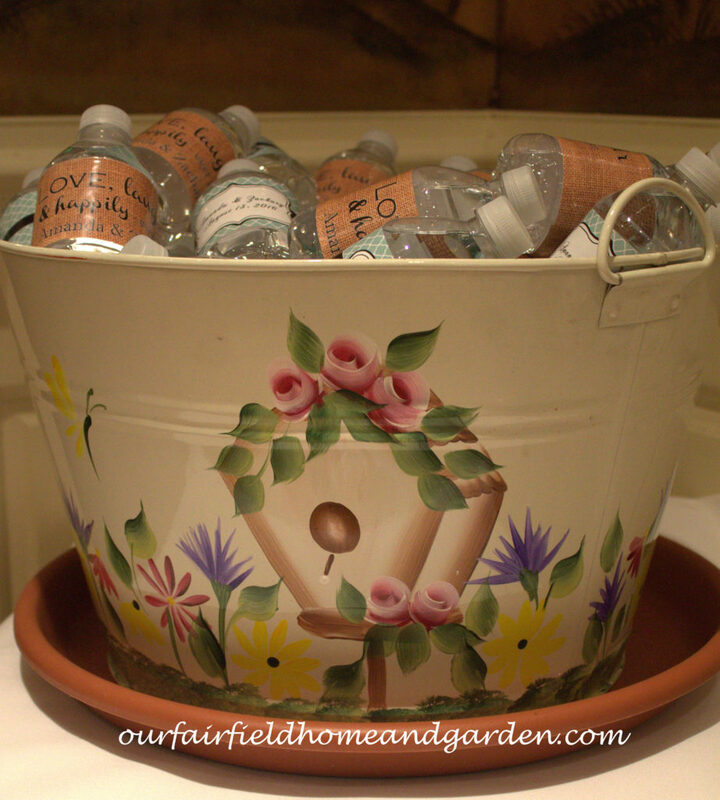 With over forty vases and about an equal number of candle votives, we were able to give these away as wedding favors. We even fooled some of the designers who thought our glassware was real mercury glass! They looked so good, my friend and I had to turn down requests to be florists for some future events! Take a look and see for yourself. 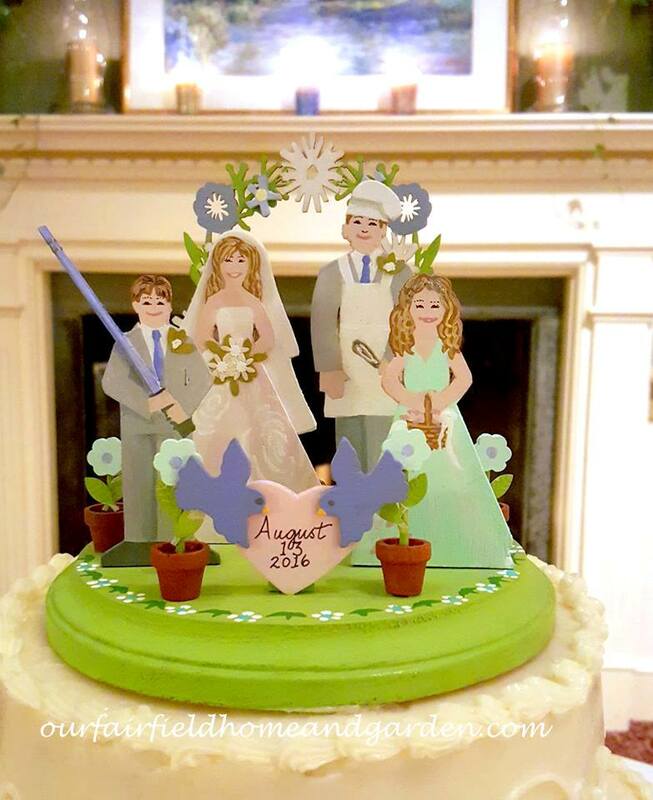 A sweet friend who is a pastry chef offered to make the wedding cake! What a wonderful act of friendship. Not to mention that this wonderful, buttery cake with white chocolate buttercream icing was so tasty, folks went back for seconds and thirds. No chewy fondant here. This was a luscious, melt-in-your-mouth memorable cake. 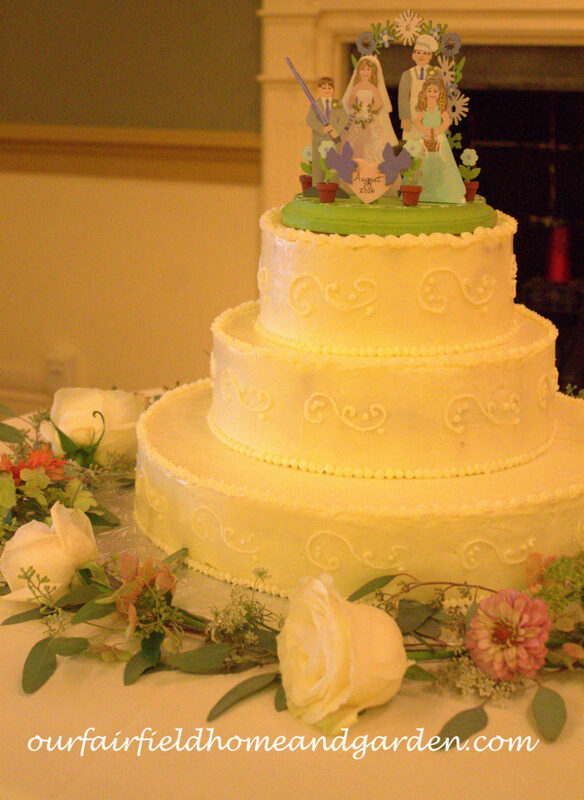 Wedding Cake made with love, a handpainted cake topper nestled in a ring of fresh flowers. #4 Do the flowers yourself! 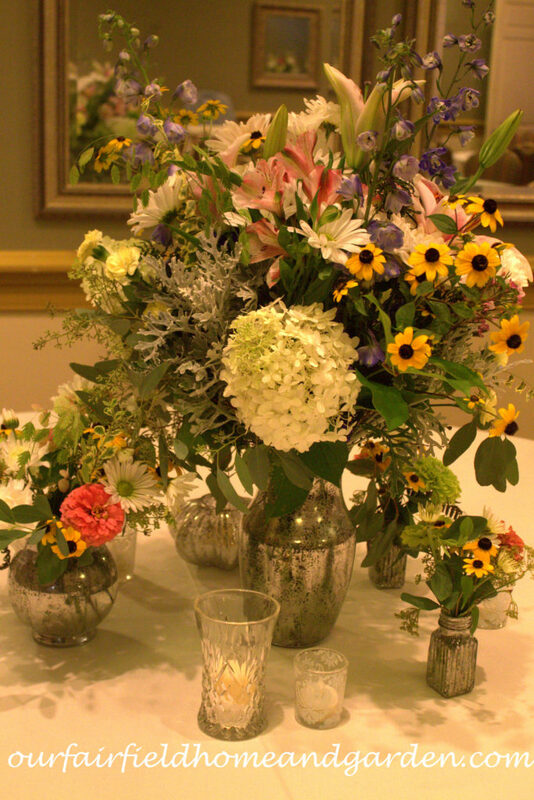 Our bride favored an English cottage garden gathered bouquet look which would have cost a small fortune from a florist. 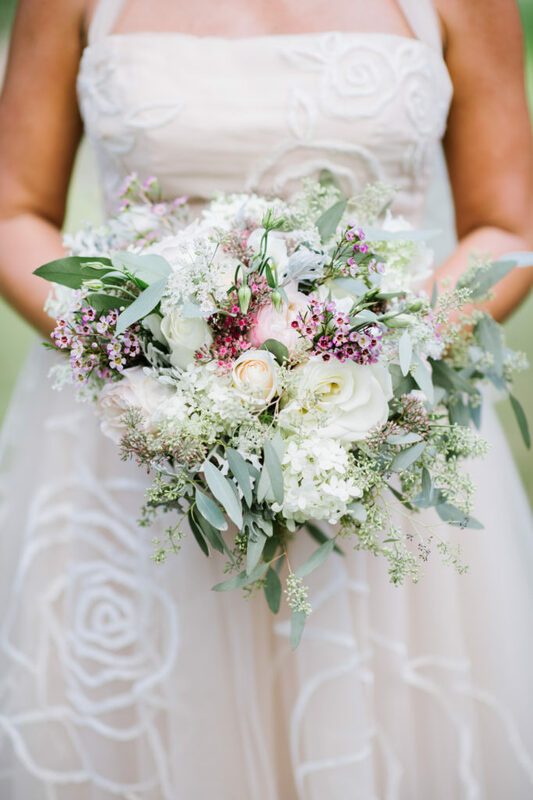 By using flowers and greens cut from our garden, purchasing cut zinnias at a roadside stand, buying flowers at a discount produce company (Produce Junction) and Costco and ordering a few specialty flowers from a local florist (Breger’s Flowers) for the bride’s bouquet – we only spent $250! That included a bridal bouquet, corsages, a “Toss Away” bouquet, boutonnieres and plenty of flower arrangements to decorate the venue. 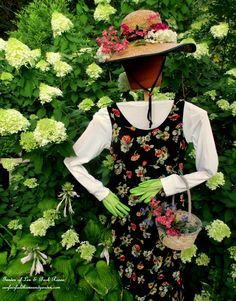 Remember that the flowers have to be done only two or three days before the wedding and need to stay in a cool room or refrigerator for freshness. Another lucky find was eleven cut glass tumblers we used as some of the candle votives. Pour a little Epsom Salt into the base, insert candle and a pretty glow is the result! 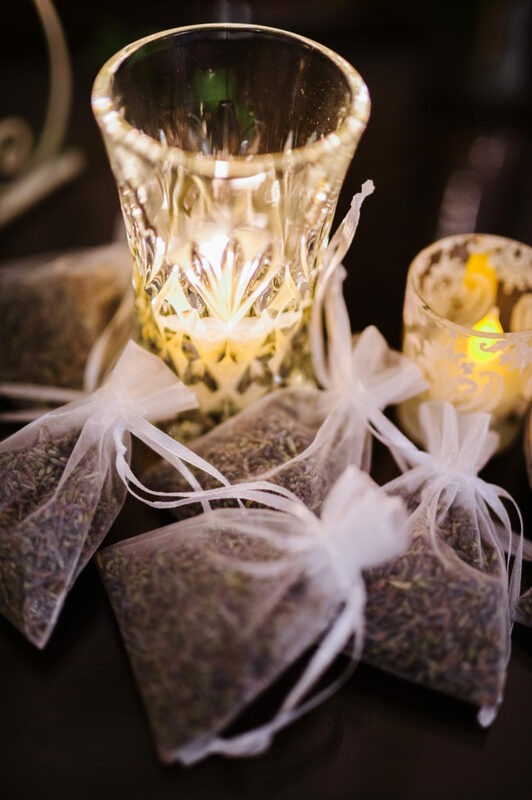 Shown with Lavender sachets that replaced rice to toss at the newlyweds. #5 Get out the Paint ! 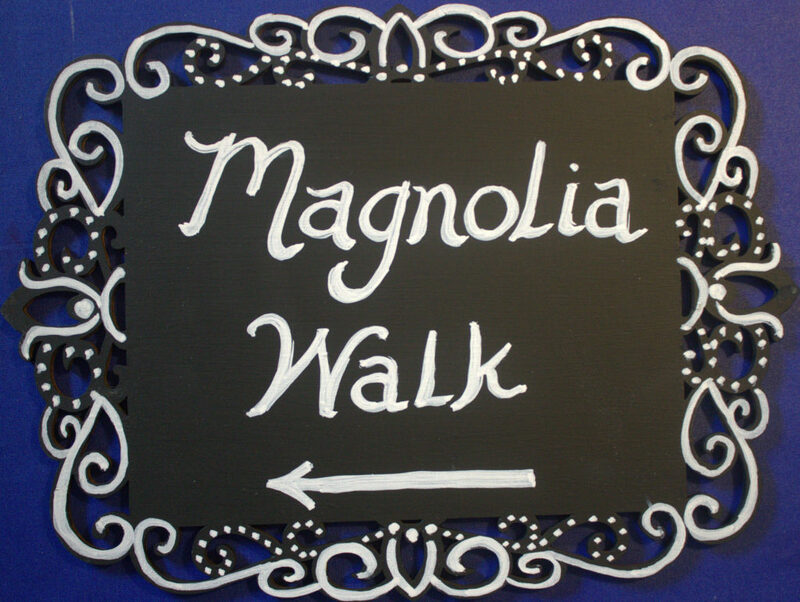 Unpainted wooden signs from Michael’s, liquid chalk paint and some acrylic paint made for some unique and personal touches in the wedding decor. We used a combination of freehand painting and stencils to make these pretty decorations. Originally planned for an outside garden wedding, they still fit in nicely when a 113 degree heat index brought the ceremony inside. Use Michael’s weekly 40% and 50% off coupons to buy your supplies and keep the costs low! 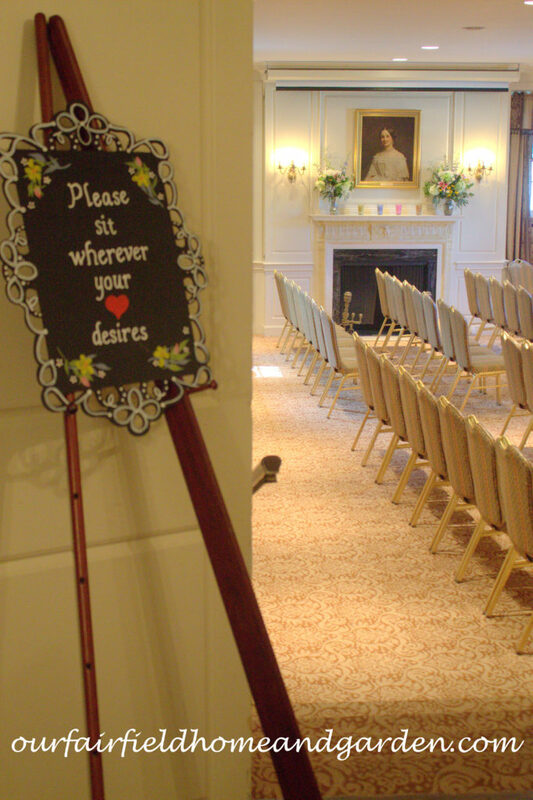 Casual Wedding Seating Sign ~ no ushers needed! 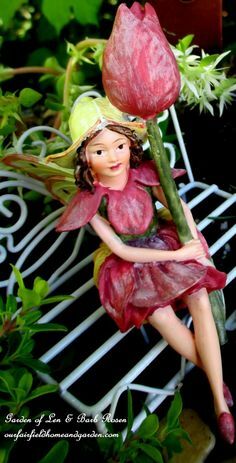 Wedding Cake Topper ~ a one-of-a kind present made just for the bride and groom! After pricing wedding decor accessories, I decided to get crafty and make my own. 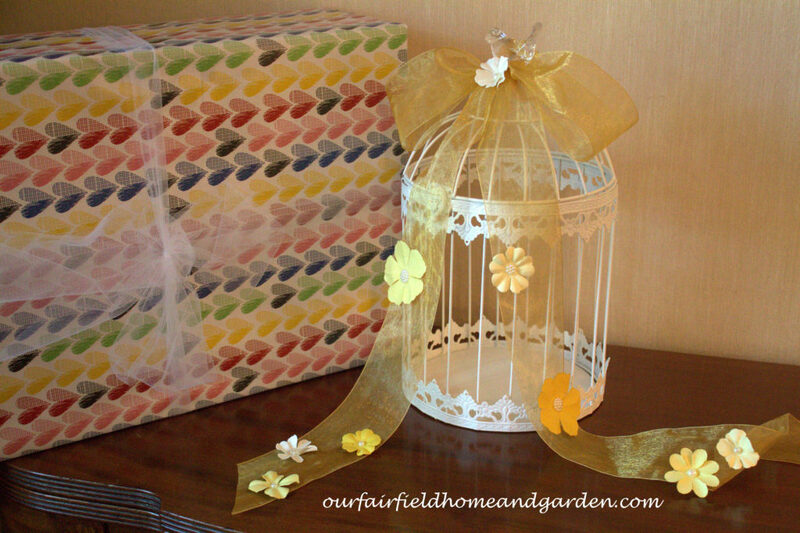 A pretty birdcage (from Michael’s, bought with a coupon, of course!) with some pretty scrapbooking stick-ons and ribbon served as a gift card repository. 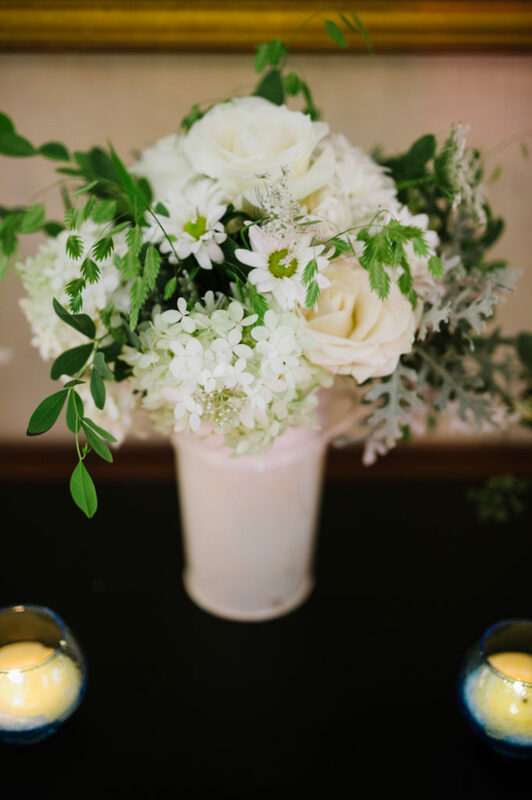 Paper fans from Oriental Trading in a vintage basket were perfect for this summertime wedding. Everyone enjoyed fanning themselves even though we ended up indoors. 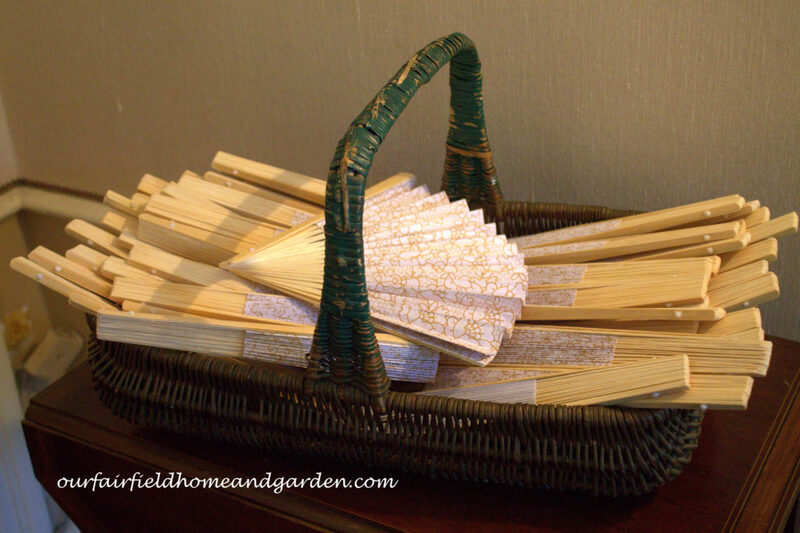 Paper Fans in a Vintage Basket to Cool Your Guests! A yard sale bulletin board was painted with chalk paint and embossed with “Rub ‘n Buff” (antique gold) to serve as a table seating chart. Tiny gold heart pushpins completed the look. Repurposed Bulletin Board becomes a Table Seating Chart! 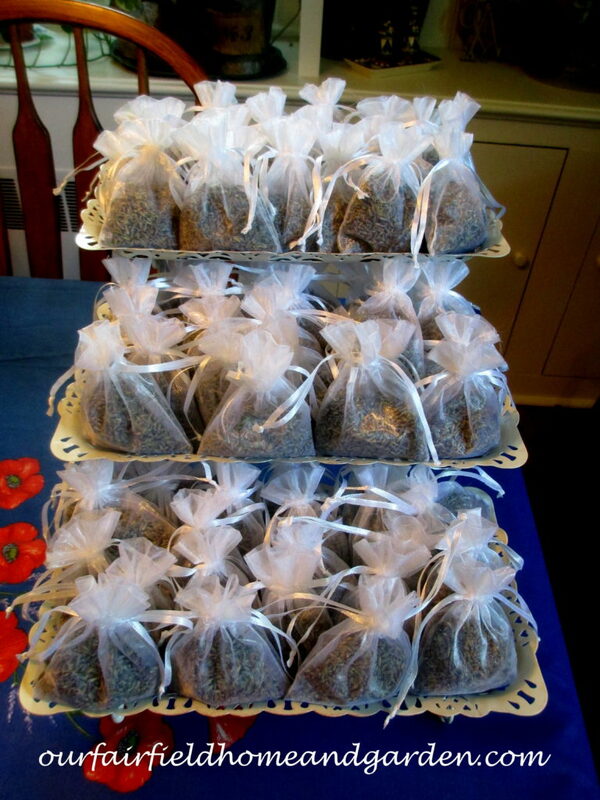 Dried Lavender to toss at the newlyweds! 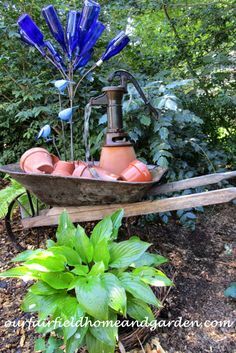 #7 Keep It Simple Outside! When the wedding is being held in a beautiful garden full of flowers, keep the decorations simple! 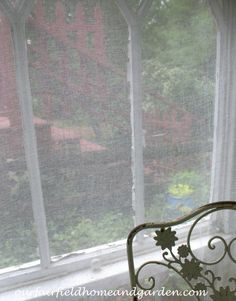 Pretty tulle ribbon floats in the breeze and tiny silk flower nosegays are unaffected by the heat. 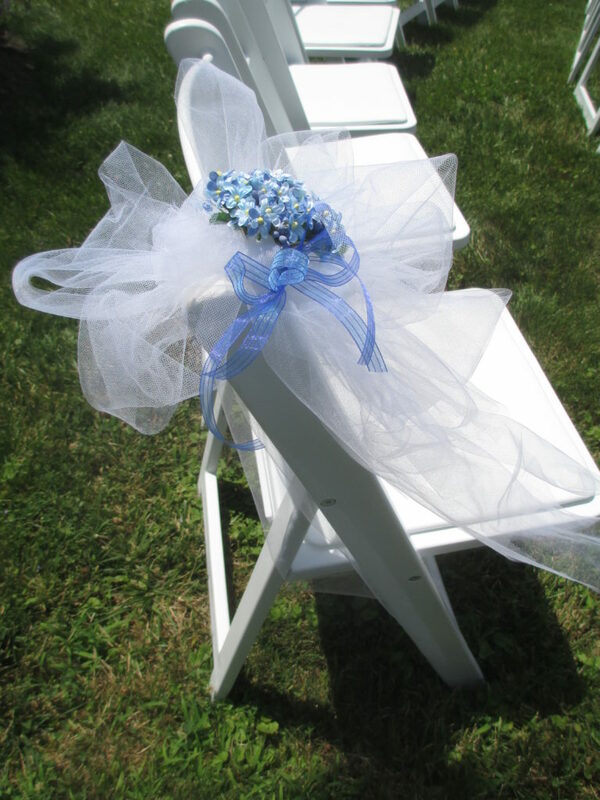 Here are some chair decoration ideas for seats on the aisle. In the end, we decided to go with plain white wooden chairs, but the heat brought the service inside. 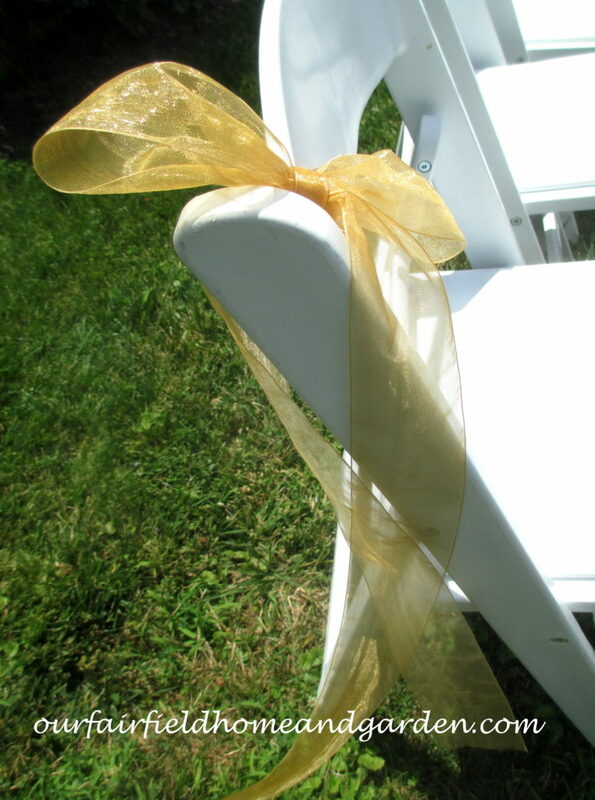 Wedding Chair Decorations for hot weather. Tulle ribbon and silk flower nosegay. #8 Put some time and money into the photographs! When you finish making your decor items, arranging the flowers and decorating – take pictures as you go!! Ask guests to send the bride and groom their best shots, too. Arrange for a friend to video the ceremony, if desired. And, hire a professional photographer to record your day. It would be a great disappointment to not have pictures of this wonderful event. You might be surprised by how much the bride and groom miss as they are caught up in the day’s excitement. Having worked with him professionally, our bride knew just who to pick- Robert Radifera of Robert Radifera Photography. Having someone she knew and trusted taking pictures left nothing to chance. Now, she and her new husband have wonderful photos to relive their special moments. And here is why a good photographer is worth his/her weight in gold! Believe it or not, no company has sponsored this post or paid me to advertise their business. Hopefully, our experience will be helpful to you as you plan a wedding yourself. Let me know. 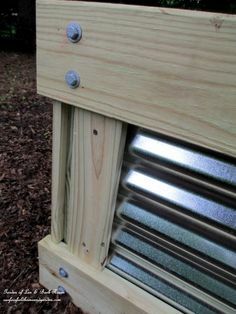 Check out a few of these ideas. Share with Heather if you can. A few are clever. Thanks for your nice comment, Ilana! I hope some of these ideas prove to be useful for your family wedding!